Over the weekend, Disney hosted its overly successful D23 expo, detailing early plans for Pixar sequels such as Finding Dory and Toy Story 4, offering the stage to Star Wars: The Force Awakens at one point and, in an announcement that quietly flew under the radar, unveiled its new take on Jack and the Beanstalk in the form of Gigantic. Billed as an animated musical, the studio’s project will be situated in Spain during the famed Age of Discovery of the early 15th century. With Europe’s superpowers hitting the high seas in search of land, exploration has taken precedent across the continent. But for Jack, he’ll have his eyes trained on the skies after crossing paths with a child princess, one who just so happens to be a giantess. With Tangled director Nathan Greno behind the lens and a set-up that bears semblance to Frozen, Disney Animation could have another bona fide hit on its hands with Gigantic. At this point, the story of Jack and the Beanstalk is so embedded in the minds of children that all it takes is a novel spin on the English fairy tale in order to draw in the crowds. Taking to the stage during the D23 expo, Oscar-winning songwriters Kristen Anderson-Lopez and Robert Lopez announced their own involvement in the animation, while Dorothy McKim is set to produce. 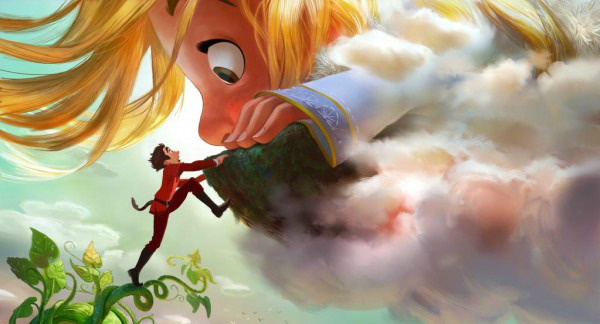 Disney’s Gigantic will clamber into theaters at some point in 2018.